Today, I’m going to show you step-by-step how to make this He Has Risen Easter Banner! Here’s what you will need for this easy DIY decor for your home! 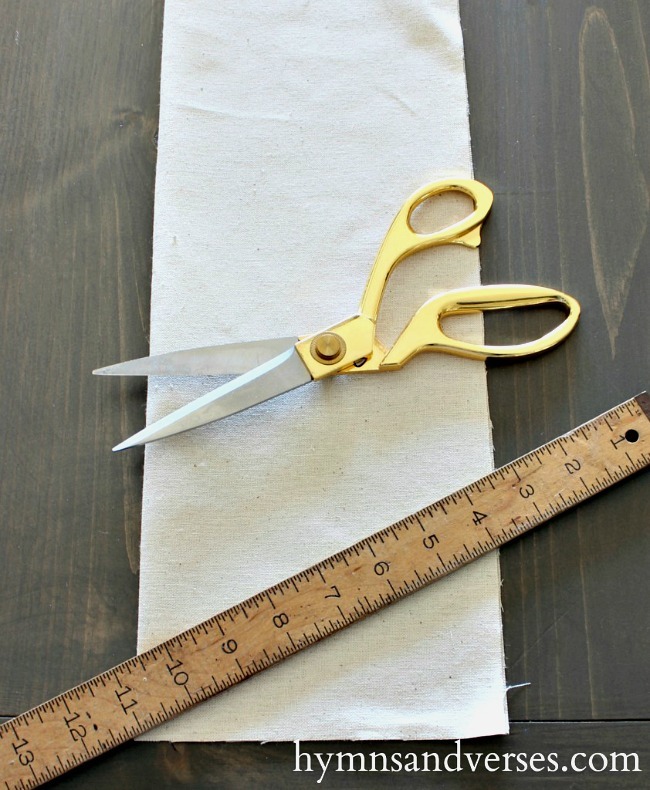 First, cut a piece of fabric to measure 13″ x 16.5″. 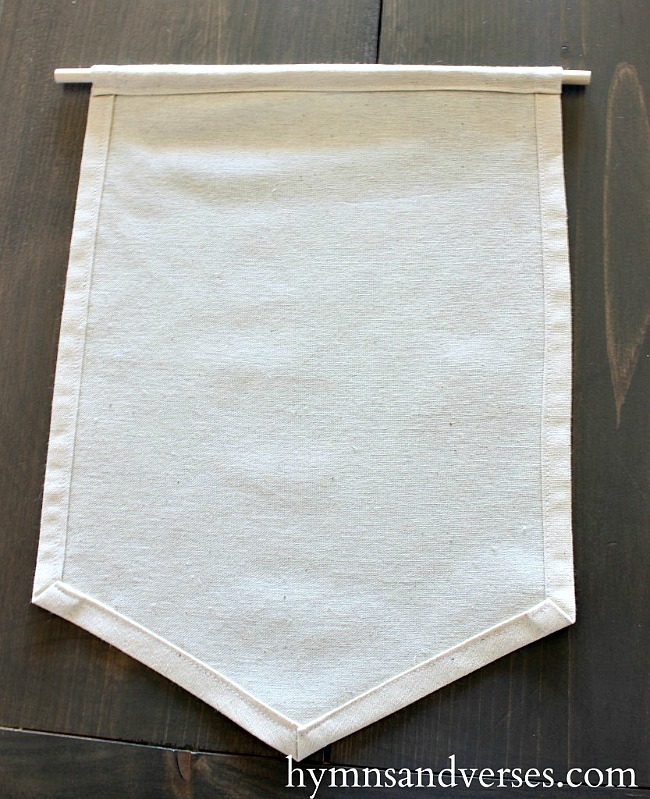 Fold your fabric in half lengthwise and use your ruler to make a diagonal mark at the bottom to form the point of your banner. Cut along that line. Now you have your basic banner. To finish your edges you can either sew, use fabric glue, or fusible fabric tape. You basically need to fold over each edge 1/2″, press with an iron, and fold over another 1/2 inch – then glue, fuse, or sew. For the top seam, you need to leave an opening for your dowel rod. I chose to sew mine and here is what it looks like finished with the dowel rod. Once the edges are finished, it’s time to transfer the design onto the front of the fabric. 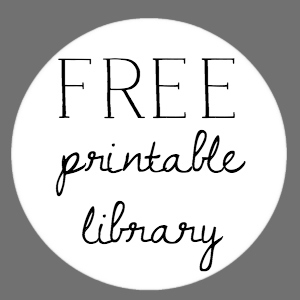 The template for the desogm on this banner can be found in my FREE Printable Library for email subscribers. 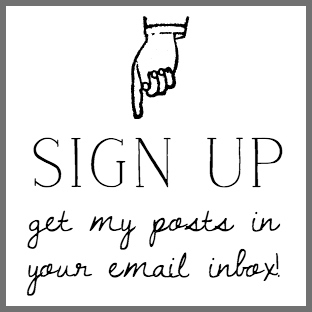 If you would like to subscribe to receive my emails in your inbox, just click HERE. Once you sign up, you will receive a password to access the printable library. After you print the template, place it underneath your finished banner and trace the image lightly with pencil onto the front of the banner. Once traced, go over the pattern with the black Sharpee marker. Now, it’s time to make a hanger for the banner. 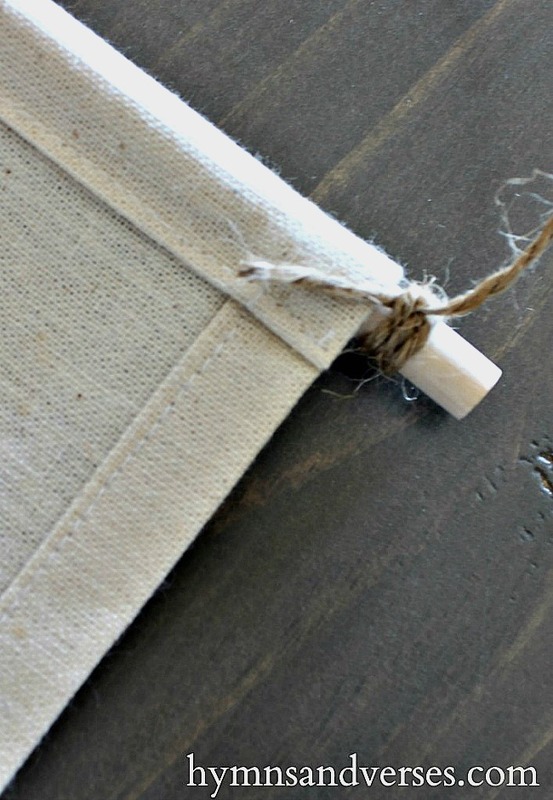 Wrap the end of the dowel rod with twine and tie a knot at the back of the banner. Cut the twine to the length you want your hanger to be and wrap the other end of the dowel and knot in the back. If you want, you can add a fun tassel to your banner with DMC floss. Follow my tassel tutorial HERE. 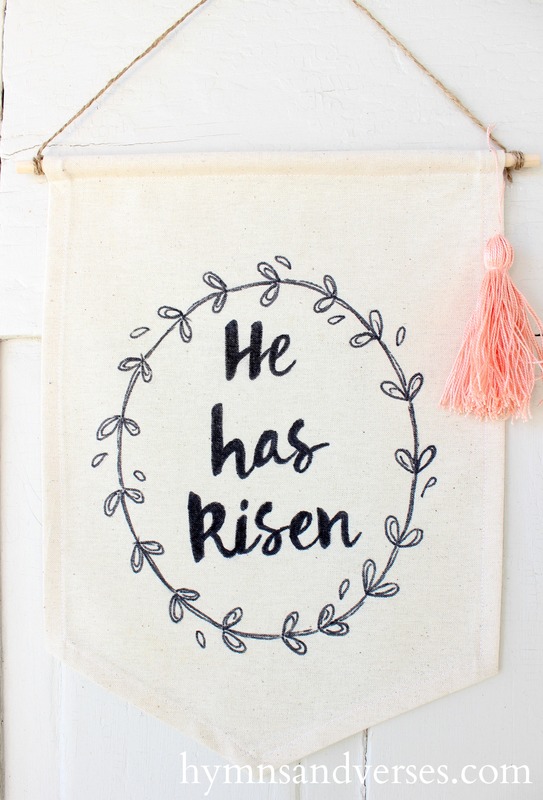 That’s it – an Easter banner you can make in a few hours! If you like this project – don’t forget to PIN IT! I really appreciate your pins! If you are looking for Easter ideas – follow my Pinterest Easter Board HERE! And, don’t forget to PIN this to your Easter Pinterest Board! 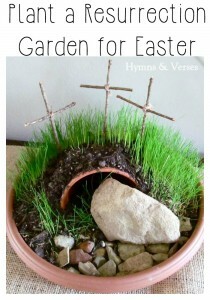 Here’s another Easter project that you should start now so the grass has time to grow! This resurrection garden is perfect for younger children to teach them the good news of Easter! Click HERE for the instructions. I hope your week is off to a great start! 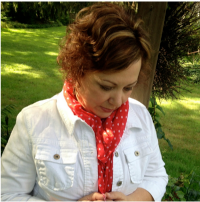 I’ll be back soon with more spring and Easter crafts and decorating ideas! This is lovely! Thanks for sharing you talent!